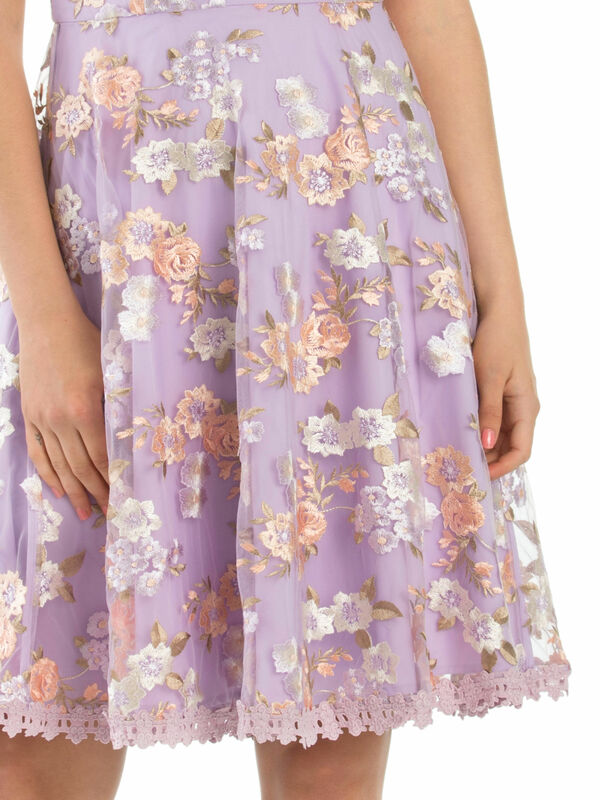 Millie Floral Dress https://www.review-australia.com/global/millie-floral-dress-lavender/RE19DR320.REPNK102.html Whether you are going to a wedding, party or prom, this Millie Floral Dress will see you through all upcoming engagements. The sweet lilac colour is the backdrop for pale pink, white, and purple floral embroidery for an eye-catching finish. The skirt is fully lined and has a lace trim to complete the look. It has a low v-neck and zip at the back.